I have never claimed to be more than I actually am. I am a blogger. I am a blogger that focuses primarily on college football, but that is it. I am not a reporter, and calling myself a “writer” is really a stretch. However, maybe I should have gone into covering college sports as a career? I mean, I am not very good at it, but apparently you don’t have to be. In fact, if you work at the Orlando Sentinel, they will call you a College Insider. One would think they would have to know a lot of information about a certain topic before they were given the title of “insider.” However, the following article by Matt Murschel shows that that is simply not the case. The Heisman Trophy honors some of the best young men that college football has to offer. Men whose actions on and off the field exemplified integrity, diligence, hard work and perseverance. Men whose painted portraits have hung in the hallowed halls for close to a century and represent what is supposed to be right about college football. Johnny Manziel‘s portrait hangs there as well, but lately it appears more like it was taken with Instagram. All that is “right” about college football? Is he talking about Cam Newton (2010 Heisman Winner)? I thought Newton was the most deserving player in 2010, and he would have gotten my vote (if I had one), but didn’t he spend a year at Florida before transferring to Blinn Junior College? Didn’t he then transfer to Auburn, where he spent only a year on campus, winning the Heisman Trophy (and National Title) before leaving for the NFL and forgoing his senior season? I know that the Heisman Trust’s mission statement mentions many values that we would hope a particular winner of the award would possess. However, these values are highly subjective and do no more than tell us that the best player in the country had better not be morally corrupt, or it might cost him the award. If I had to guess, I would think that Murschel’s next article will be about why Andrew Luck was robbed and should have won the Heisman? Because of that Heisman Trophy, Johnny Manziel has a problem. Actually, it’s his alter-ego — Johnny Football — that appears to have the issue. Like a modern day Jekyll and Hyde, the Texas A&M quarterback has found himself justifying the off-the-field actions created by his on-the-field persona. A persona living a rock-star lifestyle in the body of a 20-year-old college student. So Manziel is somehow like “a modern-day Jekyll and Hyde”? How so? Is he different in-person than he is via twitter? If so, how does Murschel know? Has Murschel spent a lot of time with Manziel, getting to know him, and is now contrasting the guy he has met in person to what he sees via the internet? I doubt it. What justification is Murschel talking about? 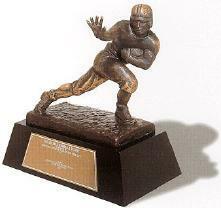 After the offseason that Manziel has had, the Heisman Trust should rethink giving the award to a first-year player again. WOW! Really? So, let me get this straight. In the future, you should NOT vote for the best player to win the Heisman trophy, if he is a first-year player, because he might enjoy himself and have fun the following off-season? Really? This is such an insane opinion that I must have misread it. The pictures tell the story. There’s the ones of him at a club with friends, or courtside at an NBA game, or dressed up as Scooby-Doo next to scantily clad coeds, or the ones where he is enjoying spring break on the sandy beaches of Cabo. (1) Pictures of Manziel at a club with friends. Yes, I totally agree with this line of thinking. In fact, I agree with it so much that Manziel should be stripped of the award and tossed into the same category as Reggie Bush for daring to “go to a club and have fun with is friends!” I mean, think of the shame and disgrace these actions have had on Manziel, his school, his friends, and the Heisman Trust. (2) Pictures of Manziel sitting court-side at an NBA game. Again, the fact that Manziel had the nerve to sit court-side at an NBA game is a total disgrace to the college football game. I mean, how could he!? (3) Pictures of Manziel dressed up as Scooby Doo, next to scantily clad coeds. Okay, I have to hold the sarcasm for a second. The Scooby Doo photos were from Halloween (a full month BEFORE the Heisman award was given out). And if you are upset about the scantily clad coed, well . . . this tells me two things: (1) that you should be upset with the coed and not Manziel, as it was the coed who was scantily clad (not Manziel), and (2) you haven’t seen many Halloween photos lately have you? She may have had on more clothing than any other girl at the club that night. (4) Pictures of Manziel enjoying spring break on the sandy beaches of Cabo. Again, if we had known Manziel was going to show such a lack of respect for the sport, and the Heisman Trophy itself, he should have never won it. I mean, I am 100% positive that every voter who voted for Manziel thought he wasn’t the type of college kid that would ever be caught dead in Cabo. Why do the Heisman voters think this way? Easy. Because many of them have been to Cabo (or similar places) and know what kind of person would go there. Wait! Do you mean to tell me that people with Heisman votes have been to Cabo? *Gasp* Say it isn’t so! No worries, they went there when they were students, so its okay. Each documents the life of an average college student, but in Manziel’s case, he is not your average college student. He’s the reigning Heisman Trophy winner, which means everything he does – good or bad – is magnified 10-fold. Actually, this part is true. Whatever Manziel does will be magnified 10-fold. However, I am still waiting to find out what he has done that is/was “bad.” Anyone? It’s not entirely Manziel’s fault. His coach, Kevin Sumlin, kept him under a media blackout, which prevented the Texas native from being properly aware of the limelight that was soon to engulf him. Instead, the public was spoon-fed the legend that was Johnny Football. It wasn’t until the weeks leading up to the Heisman ceremony that Sumlin relented, giving his star player the opportunity to speak for himself. By then, the train had already left the station and Manziel won the award based mostly on the gaudy stats that he had put up during his first season in the SEC. Wait! Do you mean to tell me that Manziel won the Heisman trophy based on stats that he put up during his first season in the SEC? Really? What a concept. So, you are advocating that despite his on-field performance, Manziel should not have won the award? And you are basing this idea on the fact that after winning the award, he has been having fun? Interesting. It’s a lesson that won’t be taught in any online class at Texas A&M and there’s no Cliff Notes version you can pick up at the school bookstore. It’s something Manziel is learning the hard way this offseason. I wonder if it is being taught in the regular classes? All kidding aside, Murschel is right. After winning the Heisman Trophy, you never know what is going to end up on the internet (or elsewhere). Manziel has to be extra careful of what he does or says because he never knows when some “College Insider” at the Orlando Sentinel is going to have a slow news day. It’s not just about age. Former Alabama great Mark Ingram won the Heisman Trophy at 19 – as a sophomore – yet he somehow wasn’t featured on TMZ or didn’t find himself in a verbal war with trolls on Twitter. Perhaps it was the extra year under Nick Saban. There is no brighter spotlight than the one focused on Alabama and all that extra attention was great training for the pressures that would come with winning the award. It appears Manziel wasn’t quite ready to handle those pressures. Okay, so I am just about finished with Mr. Murschel’s “article” and I still have no idea why he is claiming that Manziel wasn’t quite ready to handle “those pressures.” Did Manziel do something wrong? Did he do something illegal? Did he do something that every other college kid in the U.S. isn’t doing? Again, so much of the attention on Manziel isn’t really Manziel’s fault (see this article for a perfect example). Hopefully in the future, Heisman voters will carefully consider the media savvy and maturity of a candidate along with their on the field achievements. Yes, because we all know that the Heisman is just as much about how you handle twitter and Facebook as it is about how you handle the football. I mean, what if the winner was a guy who was much more savvy with his social media use? Think of how much better of a Heisman Trophy winner he would have made. Right? My vote would have been for Manti Te’o. Maybe not the best player, but he is one heck-of-a social media user. I mean, you won’t find pictures on twitter of Te’o partying with some scantily clad coed. No sir! In fact, unlike Manziel, Te’o is so savvy at his social media use that you can do all the searching you want, but you won’t find any pictures of the girls he has been hanging out with. This entry was posted in 2013, Heisman, Texas A&M by Travis Normand. Bookmark the permalink. Murschel should be limited to a Twitter account – 140 characters are more than enough to express whatever he has to say! Great post! That would be nice….! Thanks!! JFM played outstanding football in the toughest conference in the nation. He would have gotten my Heisman vote if I had one. And, while I’m pontificating, A&M deserved the Sugar Bowl. Plus, just for the record, I’ve never been to Cabo. Great comment, and well said. I too would have rather seen the Aggies in the Sugar Bowl, especially after watching Florida get dog-stomped by Louisville.